‘Heartsong’ is a new book with CD of original short powerful songs of peace, freedom and joy with full SATB scores. The CD includes all parts for each songs followed by Soprano, Alto, Tenor and Bass parts in turn. Ideal for choir leaders or for choir participants who wish to learn these beautiful songs. 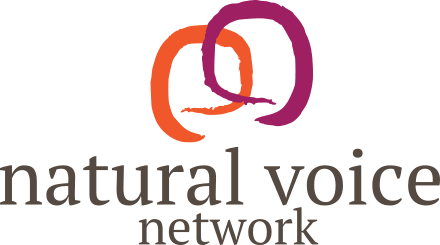 Alison is passionate about the power of harmony singing and the way in which it brings people together in communion. The harmonies give power to the words and lift the hearts of singers. These songs are sometimes upbeat and funky, sometimes meditative and deep. 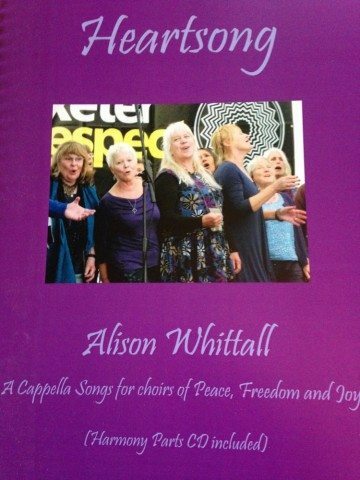 The song ‘Peace’ was sung on the final day of the NVPN Annual Gathering in 2014, and there have been many requests for this book since then!